Today I'm excited to welcome up and coming sci-fi author Michael J. Martinez to the blog. 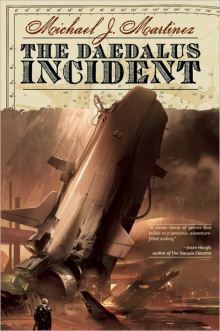 His novel, The Daedalus Incident, which released this May from Night Shade Books! Now available for pre-order on Amazon.com and Barnes & Noble, and through your local bookseller via Indie Bound! For other vendors, including booksellers in Canada and the U.K., click here. Welcome to my blog Michael, it's a pleasure to have you here! So tell us, how did the idea for this novel come about? Michael: This story may be getting a bit old by now, but I guess it illustrates where ideas can come from. There was this Disney cartoon called Treasure Planet that came out about ten years ago. I saw the poster and thought, “Man, what a great idea! Sailing ships in space!” The movie, sadly, wasn’t very good; it was done right at the nadir of Disney’s animation woes, before they bought Pixar. But the idea stuck with me. I simply wanted to create a setting and a story that was more realistic, yet still had the space-opera goodness you can get when you sail a frigate between planets. As for the rest, I’ve always been a fan of big, epic science fiction and fantasy, so The Daedalus Incident is kind of a compilation of everything I like about these genres. Heather: I couldn't agree more! There was so much potential behind that idea. I'm excited that you took that and ran with it. The Daedalus Incident has been described as Master & Commander meets Spelljammer. That’s quite the blend of genres (and I love it!). Can you tell us something outside of the synopsis without giving too much away? Michael: There’s the theme of exploration – and the costs of exploration – that runs through the book’s two settings. In the 22nd century, the people running a backwater Martian mining colony find themselves faced with the impossible: a potential incursion from another dimension, something that could open up humanity’s horizons like nothing ever before. 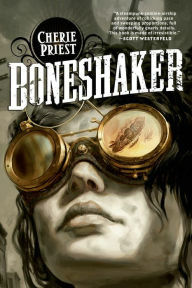 And in an alternate 18th century, where sailing ships ply the Void between worlds, the officers of HMS Daedalus find themselves plumbing the depths of alchemy and alien science in order to stop that incursion. In both settings, these are simple people doing their duty and facing truly remarkable, amazing things…and trying to deal as best they can when faced with the unfathomable, the unexplainable. And there’s a cost. There always is. Heather: You had me at Martian mining colony. Seriously though, this sounds amazing, which means I know I'm going to want more books from you. Do you have anything in the works for us after The Daedalus Incident? 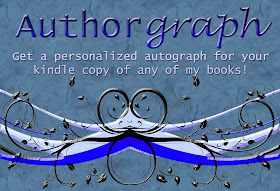 Michael: At the moment, I’m serializing a novella, The Gravity of the Affair, up on my website. It’s in the same setting as Daedalus, but it’s a self-contained story – kind of an intro to that whole sailing-ships-in-space thing. Yes, it’s a shameless tie-in, but I’m rather proud of the story, too! And, yes, I have other things in the works, but I can’t really say much more than that at the moment. That may change somewhat soonish, so stay tuned. Heather: Mysterious and promising things in the future, fantastic! Can you tell us what your writing ritual is like? Any quirky things you need or like with you? Michael: Well, there’s usually a goat, some charcoal drawings on the floor and a bottle of tequila. Kidding! I’m probably the least ritualistic writers I know. I was a journalist for 15 years, including stints at The Associated Press. Being a reporter doesn’t allow for the luxury of writing rituals. Get words down. Hand them in. Lather. Rinse. Repeat. In some ways, journalism was great training for writing a novel because I don’t really need a special place, or a specific time, or my favorite laptop or whatever. If I have a spare 30 minutes, I can get pages written. I’ve written on my iPhone when ideas strike. Doesn’t matter…get words down. Not to get all soapboxy here, but I do think rituals can do more harm than good. Yes, it helps to be in a good headspace in order to write good stuff…but do you always have to write good stuff? Not really. That’s what revisions are for. The key is to get stuff down, then fix it in revision. If you set up too many things you “need” to write effectively, you’ll find writing time becomes all too rare. All you really need is a stretch of uninterrupted time and something to write with. That stretch can really be 30 minutes if you can learn to hunker down and produce. There’s that old cliché, “the perfect is the enemy of the good.” It’s so apt when it comes to writing. Your first draft – first drafts – do not have to be perfect, or even all that good. For me, at least, it’s much easier to get the story written, then go back and make it something actually good. At that point, you have something tangible to work with, rather than wracking your brain to perfect something that’s not even on the page yet. You can read it and see what’s lacking, go back and make it better. Takes less time, too! Some folks need their rituals and quirks and good luck charms, and I get that – so long as they don’t become a crutch or, worse, an excuse. The best bit of writing advice really is to just sit down and produce writing, as regularly as time and circumstance allow. That’s the only way a story’s going to get done. And once it’s done, you’ll find revising a whole lot easier than trying to get it right the first time. Get words down. Oh, and I outline assiduously. In Excel. But that’s probably another rant. Heather: You had me there for a second, I was starting to worry about the goat, lol! I like your outlook, it makes perfect sense to me. I'm the same way, a write anywhere anytime kind of person. It keeps the mind always working without gimmicks. Thanks for joining us Michael! I'm very much looking forward to reading The Daedalus Incident! Heh. That was awesome. And I appreciate the sentiment. Thanks, Roland! I also look forward to this. I actually liked Treasure Planet. But I agree that the potential for a book is much greater. And I loved Master & Commander, so I'm really looking forward to Michael's book. Thank you! If you have an e-reader, you can download it now. Otherwise, it's out 8/13 in print!